O: I’m really excited about the great reception of our toy and t-shirt company! (tongue panting). C: Me too! We’ve really done a great job and mom (Jung-Shan) has been a terrific helper. O: Yup, she’s great. And a great toy and treat giver!! O: The ball, the water mists, and belly rubs! C: You forgot the cuddles and neck scratches! We are pretty lucky pups. O: Want to know my favorite thing about our company? 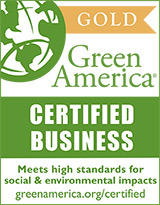 O: Our products are really safe for us and they are safe for the environment. C: I know. Jung-Shan is a very good researcher. She’s the one who found HAE Now for our t-shirts which are Fair Trade USA certified 100% organic cotton. The cotton comes from the Chetna farmers in India. The cotton is certified fair trade as are the factory and supply chain practices. O: Organic cotton super, super soft. Don’t you love cuddle time even more now? C: Totally! What about the fresh laundry pile! O: Amazing. I wish they can just keep the fresh laundry coming everyday!! Woof! Boy, mom is smaaaart! C: Very smart, she also knows a lot about ethically-made dog toys sourced from sustainable and recycled materials. O: Yes, brother. Our toys are made from post-consumer and upcycled materials, like recycled plastics, natural rubber, rice husk fibers, recycled bicycle tubes, and cool stuff like 100% wool. C: I love our toys too, because, it feels nice to know that the nice people making our toys are paid fairly and get to live better lives than many who work for dog toy manufacturers who don’t follow ethical standards. C: It’s the only way to be. If the earth is beautiful, healthy and clean. All of us pups and everyone sharing the planet will be happier and healthier! O: Speaking of happy, how is your anxiety lately? C: Umm, well, it’s up and down, I just get stressed out and nervous. O: It’s okay, Chopper, happens to the best of us. Isn’t the plush pacifier a help? C: Yes, yes. I love it. And it’s non-toxic, no artificial dyes or icky plastics. It really helps me sleep and work through my tension. It also helps me stay rash and itch-free. O: Poor guy, I feel your pain. C: How about that new ball? O: Love it!! Woof!!! It is also non-toxic and super durable. Play ball, play ball, play ball. We have the best toys for dogs, especially if they have allergies or sensitivity issues. Want to play ball now? C: Not really, I like suckling on my fuzzies better. O: Its okay! I'll wait for dad to throw it! Let’s go ask mom for a treat. Three cheers for dogs!! C&O: Dogs, dogs, dogs!! Let's chase those birds!